This collection of articles embraces theoretical and practical issues related to the emerging phenomenon of ‘nature-based creative arts therapies’, or ‘eco-arts therapies/environmental arts therapies’. Due to the negative effects of some aspects of technological development upon various social and environmental processes, the relationship between human beings and nature has received more recognition. The growing field of eco-psychology reflects this attitude in its developing social-therapeutic environmental philosophy, claiming that reconnection with nature is essential not only for the maintenance of the physical world, but for people’s well-being and happiness. Many writers have written about the therapeutic aspects of nature and contact with nature, but few have tried to reconstruct the knowledge gained through practice and intuition into creating a therapeutic framework using the relationship with nature as the key reference point for therapy. From the eco-psycho-social viewpoint of ‘nature-based therapies’ not only pathogenic factors typical for intensive modern life can be fought, but resilience-building potential implied in the unmediated contact with nature together can be reinforced. The articles include highlights of the work that creative/expressive arts therapists from different parts of the globe have done over the last years to establish a new platform and instruments for therapeutic practices. They present a new approach that incorporates nature not as a mere setting for therapeutic creative practices, but often as a partner in the process. This raised some fundamental questions concerning the concept of therapeutic setting, the role and functions of nature as an active partner in the creative and therapeutic practices, modes of human interaction with the environment with the use of different creative/expressive means. The book has been edited to provide practitioners not only with the new theoretical perspectives, but with methods and tools that can help them to incorporate nature into their daily work with different challenged populations and their varied needs, clinical and psychosocial issues. The first part of the book includes articles that present nature-based creative/expressive arts therapies framework: theory, concepts and methods. The second part focuses on the variability of expressive and instrumental forms that can be applied in the context of the nature-based therapies: expressive music, dramatic performances and rituals, dance and movement, visual arts, photography, narratives and multimedia events. It represents a variety of practical approaches and tools used with different populations and in various institutional contexts including clinical, educational, social and community-based settings. 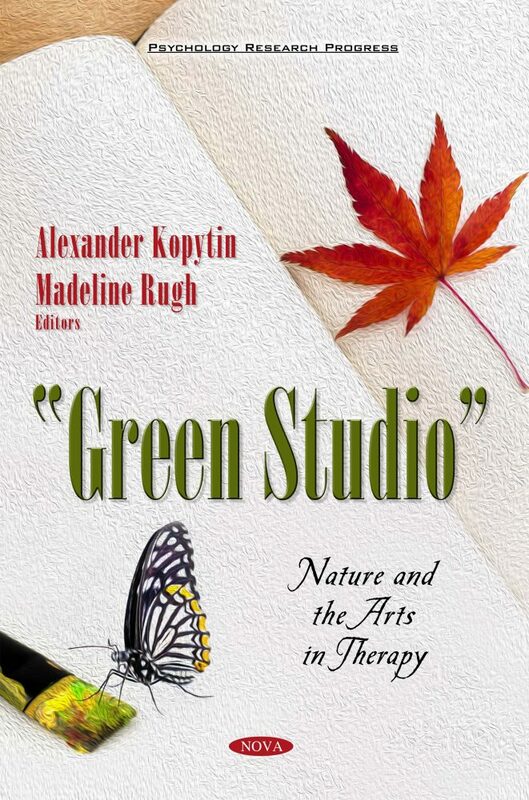 This part of the book also addresses some of the limitations and risks that nature-based creative/expressive therapies may have, and ways in which they may be bypassed and converted into growth and resilience. The book is for anyone interested in the therapeutic use of natural materials, processes and settings in their combinations with the expressive/creative activities. It will be of particular interest to mental health practitioners, especially creative/expressive arts therapists, psychotherapists, counselors and psychologists as well as artists and other creative workers wishing to explore further the creative use of nature within their existing practices. Outdoor Music Therapy with Children and Adolescents: Sounds from the Wood? Click here to read the book review by - Judith A. Rubin, President, Expressive Media, Inc.; Author, The Art of Art Therapy, Editor, Approaches to Art Therapy, and other books on art and therapy; Director, Art Therapy Has Many Faces and other films on the arts in therapy. The book is for anyone interested in the therapeutic use of natural materials, processes and settings in their combinations with the expressive/creative activities. It will be of particular interest to mental health practitioners, especially creative/expressive arts therapists, psychotherapists, counselors and psychologists as well as artists and other creative workers wishing to explore further the creative use of nature within their existing practices.